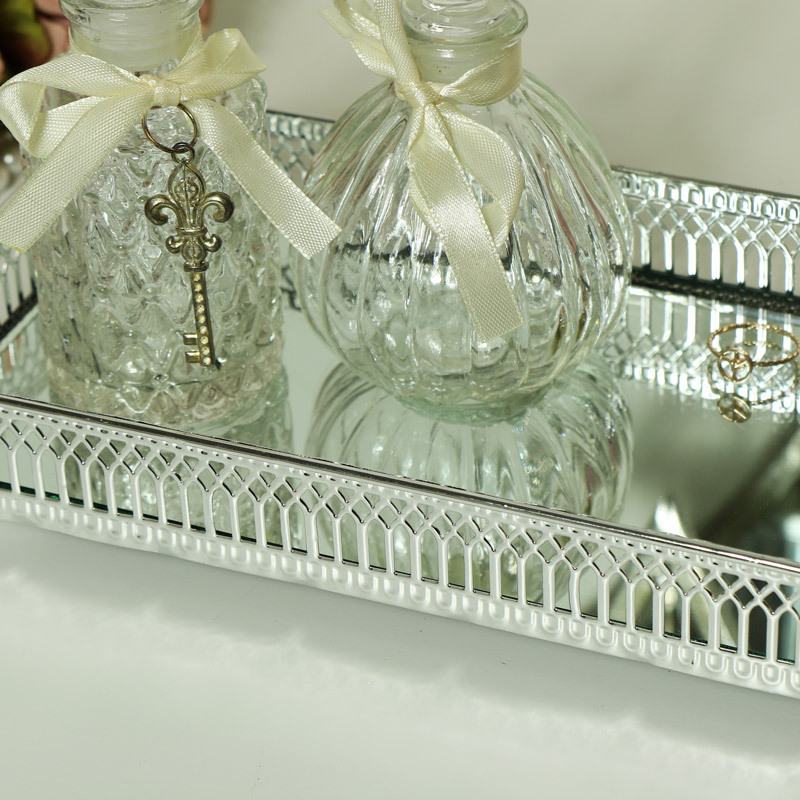 Decorative silver mirrored display tray with filligree frame for a vintage look. Perfect for display purpose or an ornamental display stand. 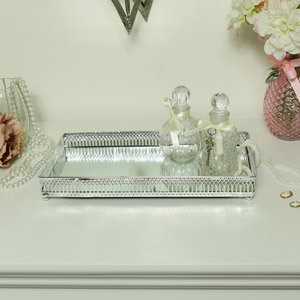 Ideal for use as a small cocktail tray or for displaying candles, perfumes or treasured trinkets. Also available in another size. Polished silver frame surrounds the rectangular base. 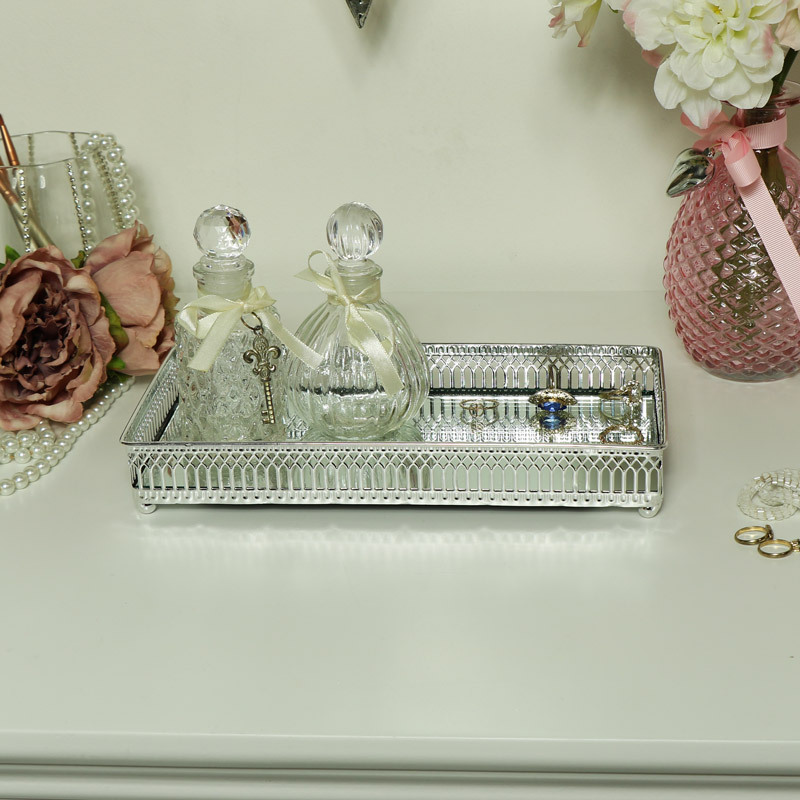 Decorative silver mirrored display tray with filligree frame for a vintage look. Perfect for display purpose or an ornamental display stand. 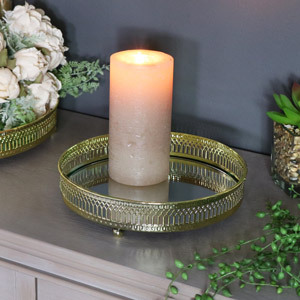 Ideal for use as a small cocktail tray or for displaying candles, perfumes or treasured trinkets. Also available in another size. 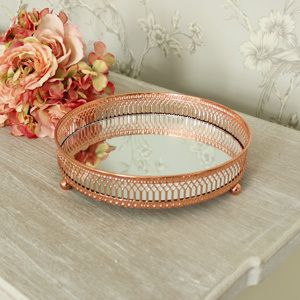 Polished silver frame surrounds the rectangular base.